Some items of interest from our collection. Don't waste your time asking if any of these are for sale, but I am interested in finding more literature and parts on some of these items. Ruston No. 6 Navvy, Steam Shovel. Serial number 818. This machine was despatched to Ruston's depot in Melbourne on the 23rd October 1923. 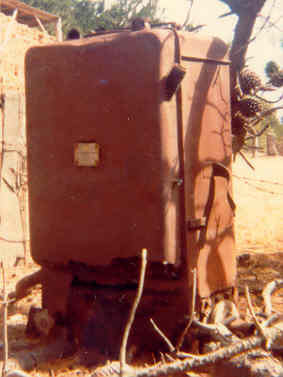 This machine had spent a long time on the side of a road before being rescued for preservation. Most of the brass work (fittings and bearings) and most other easily removed components have gone missing, but what remains are mostly in usable condition. Ruston No. 6 Steam Shovel. This unit was despatched to Sydney on the 22nd of January 1927. Serial number 1128. It was one of three No. 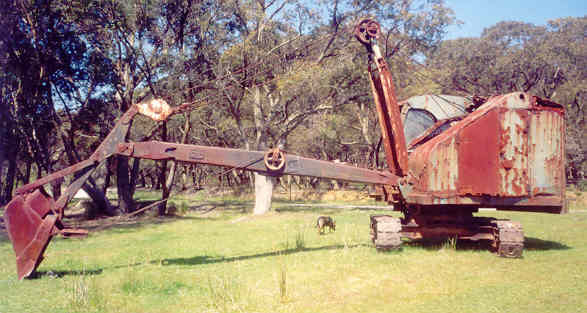 6 shovels that were used at the Mount Morgan mine, and it was later use at a gravel put near Rockhampton before being rescued for preservation. The machine is basically complete but a lot of the components are that badly rusted that they would only serve as patterns. 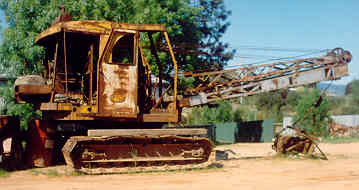 Ruston Bucyrus 22RB face shovel. Fitted with the Ruston Hornsby 6YDA air cooled diesel engine. 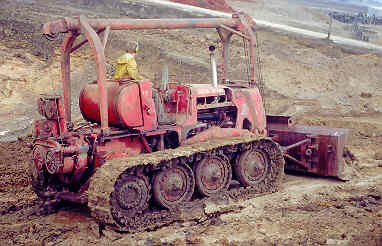 After getting the engine running and a large length of cable and a number of pulley blocks it was able to winch the machine to solid ground under its own power, skidding along on the track frame. This unit is fitted with a 4 cylinder Gardner Engine, it also has a home made cabin. This unit has a GM 3-71 Diesel engine and torque converter. It also has air controls. It weighs about 25 tons. These two machines were some of the last built by Harman after Kockum took over. They are fitted with Scania diesel engines, and have full air controls. 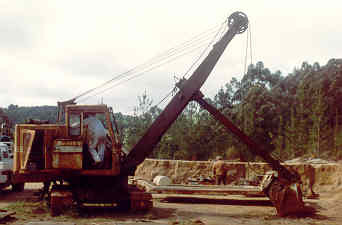 Small 10 ton Jaques dragline, which was based on the Ruston Bucyrus 10RB. This unit has been repowered with a GM 2-71 diesel engine. These machines normally had Lister JP3, or International Diesel Engines. 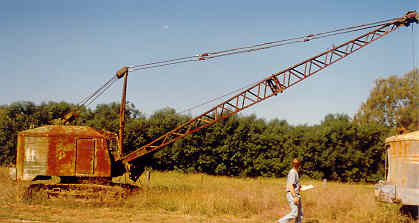 This Preistman Cub Dragline/Crane is fitted with a 3 cylinder Ruston Hornsby air cooled diesel engine (which is made in India). These units have a telescopic boom, and the cradle the book is mounted in has a limited amount of roll which enable the bucket to be tilted. 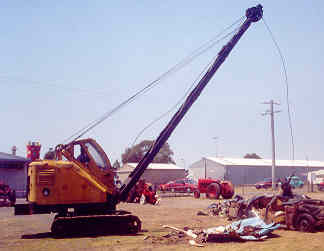 Note that this machine is also fitted with a long reach extension on the end of the boom. 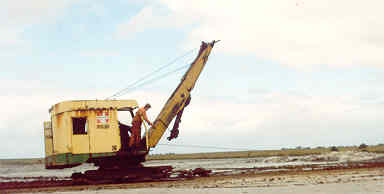 Britstand Ripper, a light trailing ripper, uses a rope attached to engage the drive operated from the rotating wheels to raise the ripper, and another rope to pull the leaver to lower the rippers. A.B. Cambell made this units in the 1950s, and ceased trading in the 1970s. I spoke to Andy Campbell who used to own the factory. He said that they had a works party every time another hundred rippers were made, and he said "we had a few of them". If any one has any information/literature on this company, I would be interested, please contact Stephen Larcombe at Plough Book Sales. 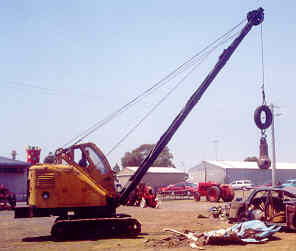 This crane is suppose to be the old Yard Crane from Wabco's factory in Sydney. 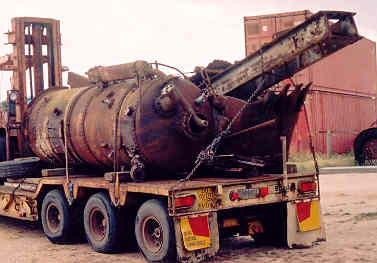 It is a Letournea Westinghouse scraper front end attached to an A-frame trailor and boom assembly. Powered by a GM 3-71 two-stroke diesel engine. This was McDonalds first hydraulic driven three point roller. 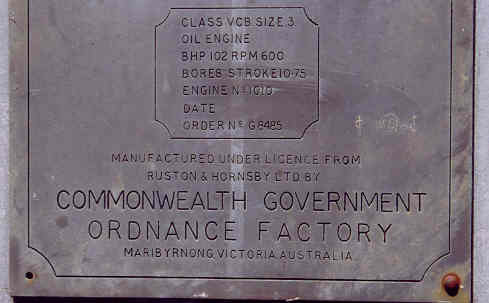 It was supplied to Geelong West City Council in 1953. 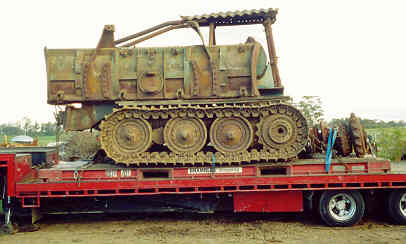 It weighed 4 to 5 ton deadweight, and powered by a Holden car engine. It is the only one of this type made. 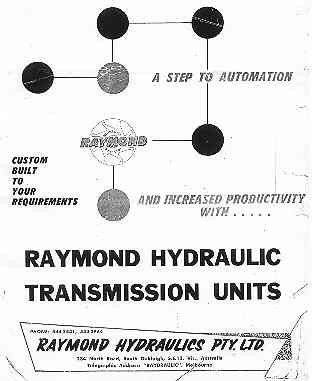 Raymond Hydraulics were based in Oakleigh, Melbourne, and designed and built a range of vane type hydraulic pumps/motors sets for use as variable speed drives. 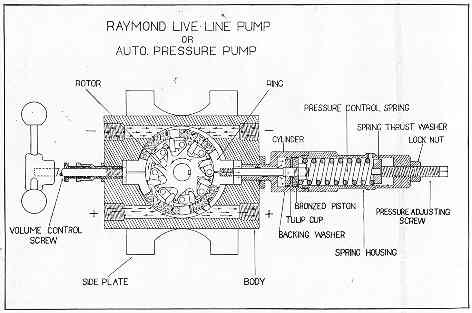 Cross section view of the Raymond Hydraulics, Hydraulic Motor, sowing speed/direction control valve, and pressure control spring. Note: if the pump is overloaded the pressure control spring will bring the pump back to neutral. Close up view of the rotor and spring loaded swinging hinged vanes. 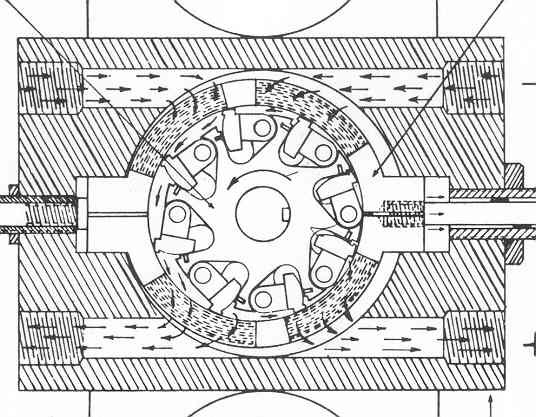 Note the ring around the rotor, its position, left or right of centre will alter the direction of oil flow, and quantity of oil flow. 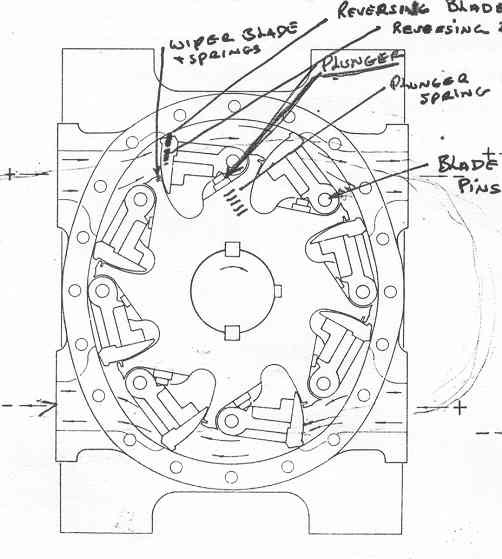 Hydraulic Motor showing the swinging, hinged blades and direction of oil flow. Note that these motors can also run in reverse, albiet with slightly less effeciency. Cover page of the Rayment Hydraulics specification sheet/instructions sheet. Jaques Stone crusher set up with Perkins P3/torque convert power pack. Jaques made quite a few of these single toggle crushers. The size (16x10) is the feed opening at the top of the jaws. The crusher will comfortable handle 10 inch rocks, and produce anything from 3" to 1" minus crushed rock, depending on the setting. 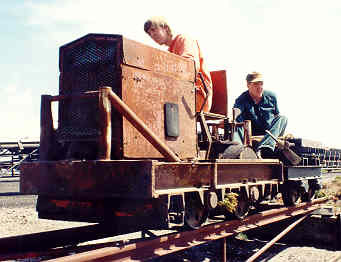 The wheels are from the original crusher, but all the wooden chassis was beyond use, and has been replaced with steel. 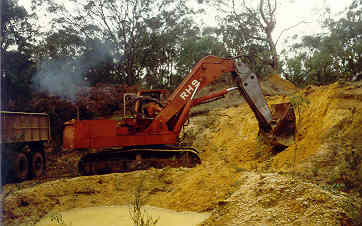 Ruwolt made stone crushers in Melboune, and unlike Jaques, they made double toggle crushers. In the Jaques single toggle crusher, the movable crusher jaw was suspened from the main drive cam shaft. 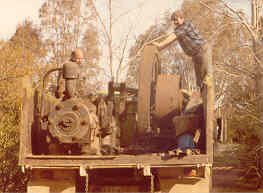 The double toggle crusher had the Jaw suspened from its own shaft, the drive/cam shaft was mounted behind it and operated two toggle plates to drive the jaw. 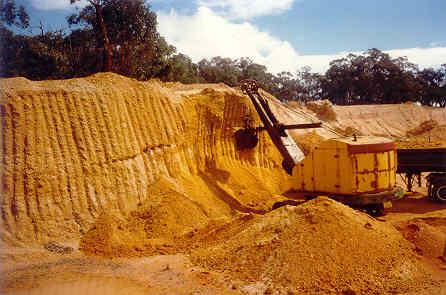 Apparently the motion of a jaw on a double toggle crusher makes it more suitable for use with harder rocks like quartz. 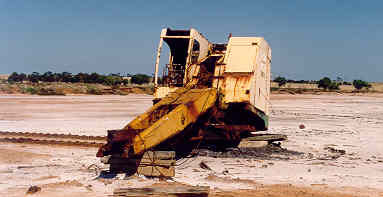 Note that this crusher has a small feed shute and grizzly, and a drive arrangement to operate a bucket belt to remove crushed rock. 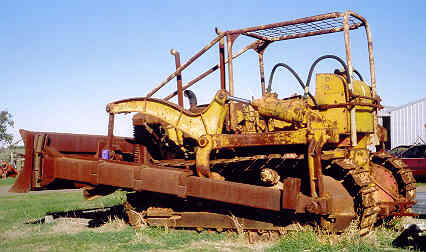 This grader was originaly owned by Bannockburn Shire Council, and then later Newtown-Chilwell Shire before passing into private ownership. The movement of the blade and scarifier are achieved by the use of long screwthreads operated from a control gear box driven from the tractor belt pulley. 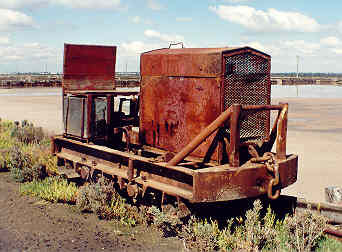 Cheetham Salt has quite a large number of these Fowler Marshall crawlers, and fitted some of them with these wide plates. 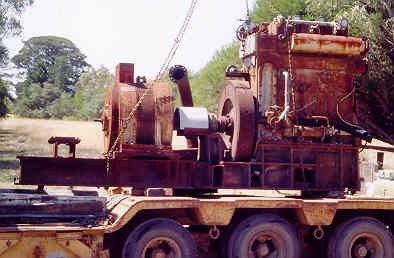 Parts of a logging winch to fit onto a Fowler Marhsall crawler. 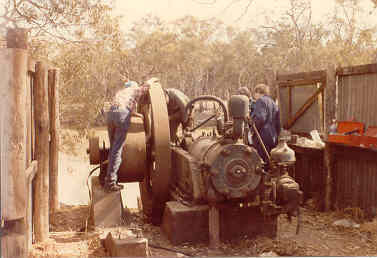 This logging winch is driven by a chain from a sprocket fitted onto the side of the gearbox in place of PTO. This winch is not very complete, and has had a hard life. Note: the chain gaurd does not belong with this winch. 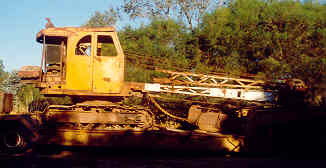 Britstand logging winch to suit an Oliver DDH dozer. Note the right picture is a chart that is attached to the side of the winch, it gives the volume of the log, from its dimensions. This is a logging winch for an Oliver DDH crawler tractor, it appears to be brand new, with no damage or scratches, even the brass plate on the side is scratch free. It has however, spent too much time sitting in dirt, and is a little rusty on the face that bolts on to the tractor, and is also missing the drive shaft that goes inside the gearbox, the mounting arms that go either side of the gearbox, and the control levers. 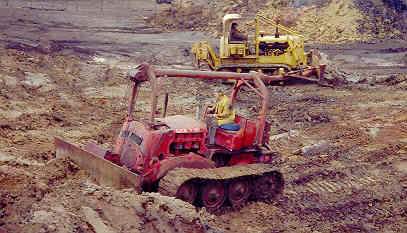 International Harvester TD18A dozer. Fitted with a 6 cylinder petrol start diesel engine. This one has a distributor instead of a magneto for the petrol start system. 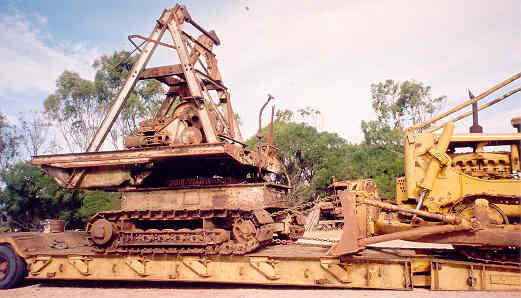 World War II era, ex Australian Army Matilda Tank, converted to a Bulldozer. 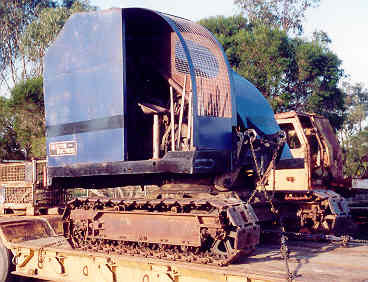 This Matilda tank has had many significant modifications when it was converted to a dozer. Plough disks and scraper bars have been attached to the sprocket drive to stop sand entering the final drive seals. The original Wilson Power Shift transmission has had some the the spacer planetarys replaced with cogs. Some of the planetary gears had two planet cogs and two spacer blocks. The two cogs sometimes broke, but with 4 planet cogs there were no further problems. The engine is half a GM 6-71 twin pack engine set (still with transfer case) from a Gernal Grant tank. 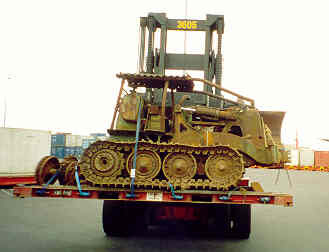 Vickers Vigor torque converter dozer with hydraulic blade, and some parts, on a 20 foot container base being transported from overseas (well over Bass Straight, from Tasmania). 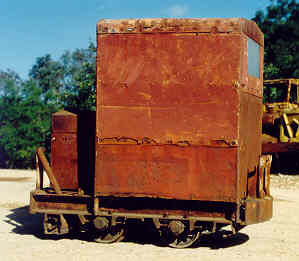 This is one of the very first LW30 dump truck made by LeTourneau Westinghouse in Sydney. 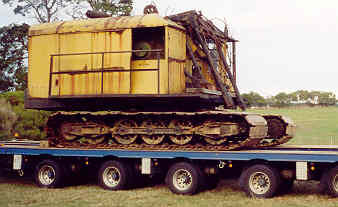 The model was later renamed LW18, 18 ton being the carrying capacity, instead of the gross weight of 30 ton. 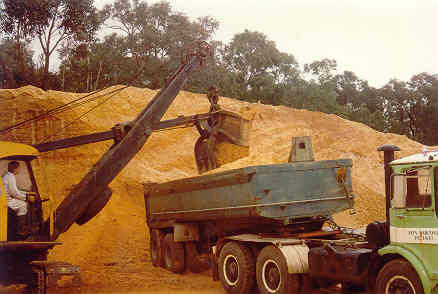 These trucks were fitted with a GM 6-71 diesel engine and direct drive 5 speed gear box. 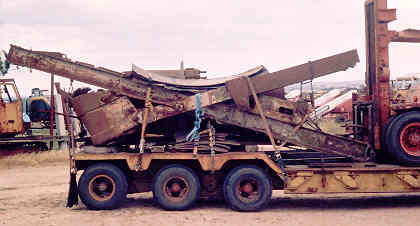 These dumpers had two 2-stage bidirectional hydraulic rams to raise the dumper body and pull it back down after it goes over centre. 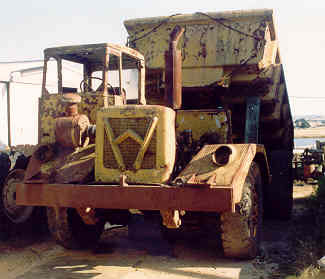 A later version of the LW18 dump truck, the same basic layout is used, but this one is fitted with a Road Ranger gearbox and a more modern shaped dumper body. 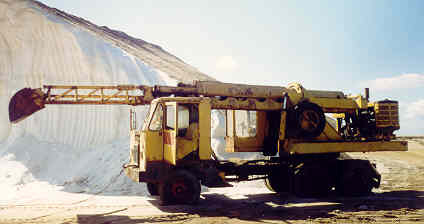 The dumper hoist rams on this model were similar to the LW18, except that only the first stage of the rams were bidirectional. 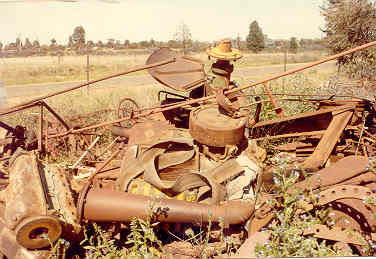 HSCS G35 as found in a Condobolin scrap yard. Another G35. This neglected tractor is suppose to be in very good order. I was told that the agent was not able to sell this tractor when new, and it was only used as a demonstration tractor. This is probably believable as it still has what appears to be original paint on the top of the exhaust. R30-35, these were the first model of HSCS to come to Australia after the war. They were later followed by the G35. Both models had what appears to be the same block, gearbox and differential layout. 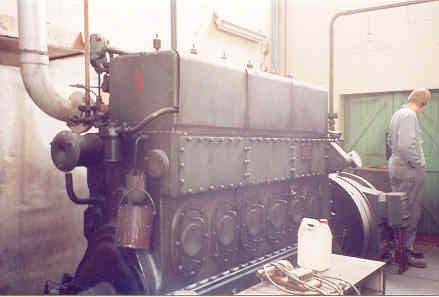 The G30-35 had different panelling, 6 studs instead of (4 studs like the G35) to hold the head with, they had a water pump (unlike the G35 which relied on thermo-syphon), and they had one bank of radiator panels like the Lanz Bulldog, instead of the centre conventional radiator like the G35. Another R30-35 being winched onto the truck. 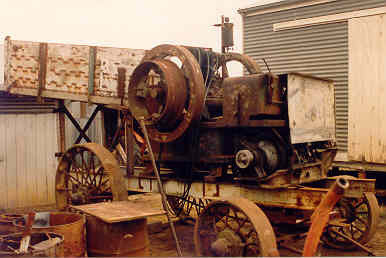 Apart from the missing front axle, this machine is otherwise complete, it even cam with the original blow lamp. This Lanz Bulldog N Model was built in 1949. It has been fitted with a Lanz 6 volt lighting system by the Lanz service man in the mid 1960s. 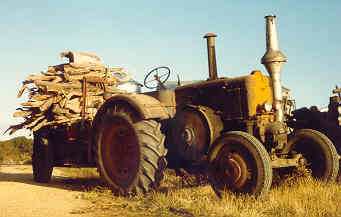 Seen here with a load of wood on a Malcolm Moore tipping trailer. The trailer users a hand winch and cables threaded through the front A-frame to tip. 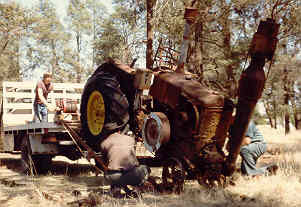 By the 1970's Muir Hill were building tractors like these. Fitted with a Perkins V8.510 diesel engine, 185 horse power and a Road Ranger RT.610 close ratio 10 speed gear box, giving speeds between 2.3 and 20.6 miles per hour. Muir-Hill built their own transfer case and axles (of double reduction planetary types). They also built the chassis, cab, etc. It only steers on the front axle, but has surprisingly good steering lock, 33 feet turning circle full lock, and 20 feet turning circle with brake assistance. Weighs 5,443 kg without extra ballast, and 10,886 kg when fully ballasted (using larger tyres sizes). Nasco Charcoal Gas Producer fuel plant used during WWII to power a Ford truck. When this unit was collected, it was still sitting where it was taken off the running board of the truck after the war and still half full of charcoal. Unfortunately it is somewhat rusted out. Manufactured by Dunlite in South Australia between 1937 and 1967. Out of the large range of windlights manufactured by Dunlite, this is the only one that has 4 blades. This wind generator was used to charge batteries for a home lighting plant. It is normally mounted on a 40 foot high Southern Cross farm pumping windmill type tower. There is a small regulator used to control the charging of the batteries, the rate of charging is controlled manually by adjusting the position of the tail. 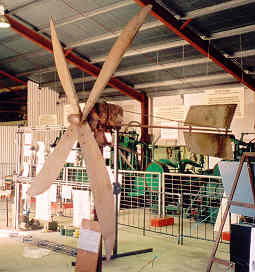 In light winds, the tail should be set to direct the blades directly into the wind, and in heavier winds, the tail is adjusted to pull the blades slightly out of the wind, and thus slowing the speed, and hence charging rate. 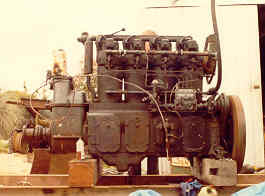 Ruston Hornsby 3 Cylinder diesel industrial engine. 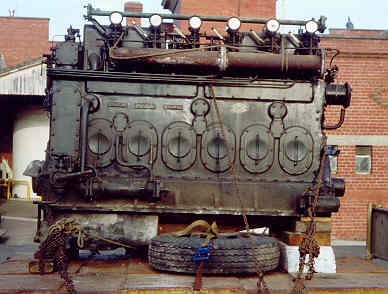 Showing the original location of the engine, and the door that it was squeazed through after jack hammering the concrete mounting block away, lifting the false floor, and removing some of the oilers above the rocker covers. This petrol engine driven air compressor and air tank are used to start the engine with. 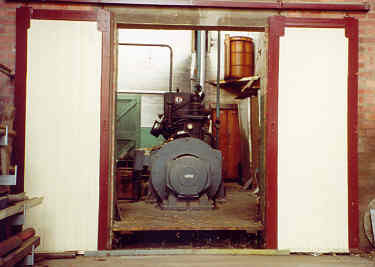 Another picture of the engine in its original locations. The engine on its own, without the flywheel weighs 7.1 ton. Another variation of the Johnson generating set. These little generators were based on the same engine that was sold as a Cooper RV or RVE engine. The engines were either started with a rope, or by pressing a button, and using the generator as a starter motor. Model KM37 with a recoil starter, the pump has been removed. 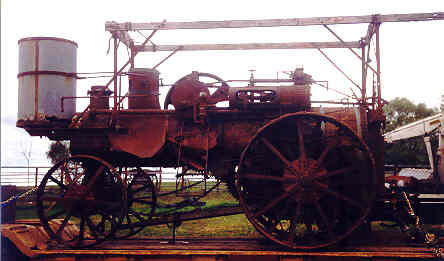 Model KM48 with a rope starter, complete with water pump. These Sachs air-cooled wankel engines were sold by Finsbury as water pump engines, with direct coupled water pumps. These engines were 4-stroke engines, but still required oil to be mixted with the petrol, like a 2-stroke engine. This was a result of difficulty in cooling the rotating piston in the rotary engine, which was easy enough with water cooled engines, but became a problem with air cooled engines. The answer was to cool the piston with the fuel before it entered the cumbustion chamber. 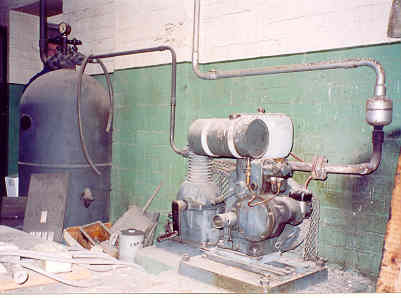 Bore of air cylinder: 3"
Bore of Engine Cyldinder: 31/8"
These compact air compressors built built by Ingersoll Rand in the 1960s. They were similar in arrangement to a radial aircraft engine laying on its back. But with 6 cylinders, alternating between compressor cylinder and petrol engine cylinder. They were popular as a portable air compressor, especially with the railways. There is suppose to be a light pipe frame with a wheel burrow wheel, and handles that the compressor pins onto for on-site transport. Does any one know where one of these frames might be? Starting was by means of a rope starter on the side. Not sure what make this beam pump jack is, it could be an Alston. 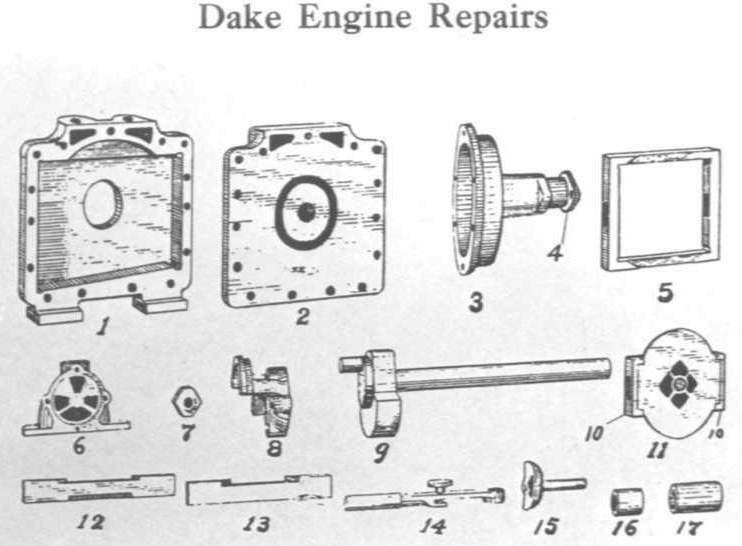 Some of the components do not look like they were original, and it has some evidence of modifications. The counterbalance weight should hang from the left end of the beam. 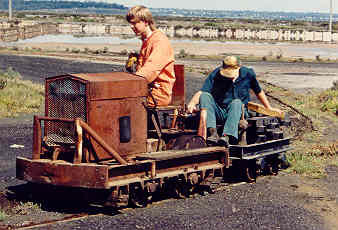 Cheetham Salt made these small locos to haul side tipping skips along temporary rails through the salt pans during salt harvest. 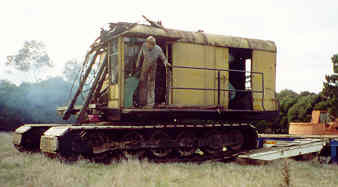 This photos shows the locomotive with a cabin fitted. 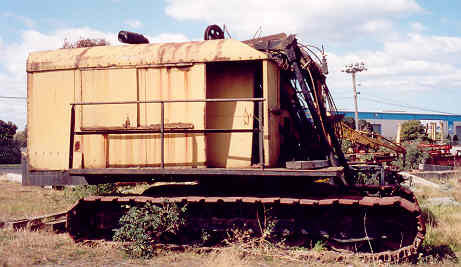 This shows the locomotive without the cab. The locomotive was powered by a Ford Prefect car engine, with the car gear box, and then a right angle drive reversing gear box that drove the back axle by a chain. The back axle drove the front axle by another chain. The engine consists of a rectangular chamber formed by parts 1 and 2 in the above diagram. The engine would have a very low efficiency, with some amount of internal leakage around the sides of the piston, but it is compact and easy to control. 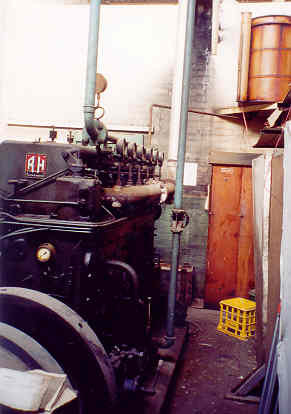 These engines have been operated with steam and compressed air, and used to drive small winches, chainblocks, pumps, and even the power steering on large traction engines.